State-level championships are coming to a quick close with the winners poised to move on to the National Truck Driving Championships in August. New Jersey, Oregon and Arkansas are the states with qualifiers left. 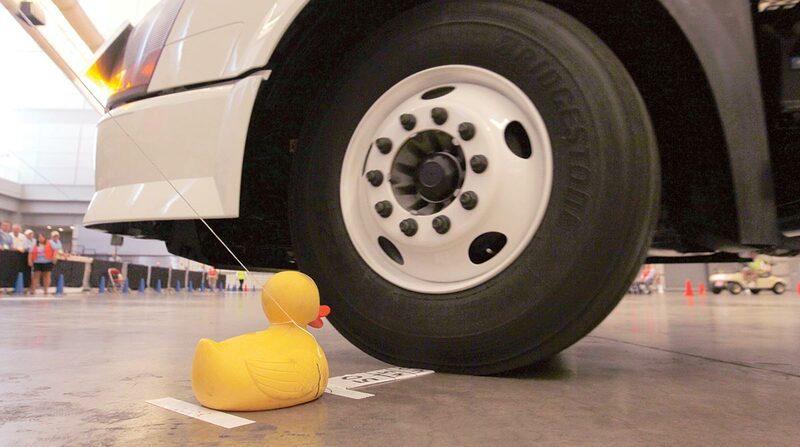 The competition tests drivers through a series of two tests — one written one that focuses on trucking facts, rules, statistics and safety protocol. The other test focuses on driving skills on a driving course. Awards are presented in each of the eight classes and one step van class. Special awards also include an overall 2017 National Truck Driving Bendix Grand Champion and a National Rookie of the Year. FedEx Corp., XPO Logistics, Wal-Mart Stores Inc. and UPS Inc. usually have a large showing of drivers at the competition. Last year, Wal-Mart driver, Charles “Mike” White took home top honors. “The trucking industry comes together every spring and summer for a series of state truck driving championships culminating in the National Truck Driving Championships,” American Trucking Associations President Chris Spear said. The championships will take place Aug. 9-12 at the Orange County Convention Center in Orlando, Fla.
ATA’s Safety Management Council Will host the event with premiere sponsor ACT 1.